I read this book which I think is from the early 2000s. I don’t know what it is called, who wrote it, or who published it, so I’m hoping a kind soul can help me out. There’s this extra-dimensional construct call “the moment” in which a single instant of time or all of time itself can be inhabited. Characters in the book discover how to access “the moment,” and then different groups fight to control it. Their incursions into “the moment” begin to harm the future, kind of like a butterfly effect. Has anyone read this thing before? 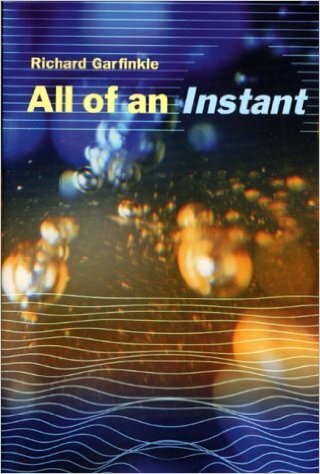 I suspect this is the 1999 novel All of an Instant by Robert Garfinkle. "...a brilliant scientist discovers the Instant, a paradoxical nonplace that is simultaneously all times and no time. Soon contending armies roam the Instant, stirring its waters as they struggle not only to conquer the world but also time itself. But every ripple in the Instant causes entire cultures and timelines to vanish. Even the first humans are threatened with destruction, though that would mean the end of humanity itself." I would reckon that your "moment" is "The Instant". The novel seems to tick all the boxes of your query. Not the answer you're looking for? Browse other questions tagged story-identification novel time or ask your own question.